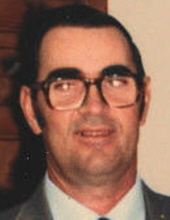 Bobby Don Parker, 78, passed away on April 12, 2019 in Tyler, Texas. He was born on June 23, 1940 to Archie and Pearlie Barkley Parker in Henderson County, Texas. He was preceded in death by his parents and one sister, Wanda Beth Parker Epperson. He is survived by his wife of 57 years, Mamie Joyce Williams Parker; Sons, Dan Wade Parker and wife Theresa of Leagueville, Craig Lee Parker and wife Karen of Leagueville; Daughter, Kay Parker Head and husband Kevin of Murchison; grandchildren, Justin Parker an wife Julia of Leagueville, Quinton Head of Murchison, Brooke Jock and husband Stewart of Malakoff, Kelsey Thrasher and husband David of Murchison, Casen and Camden Parker of Leagueville and great-grandson Samson Wayne Jock of Malakoff. There are also numerous nieces and nephews and cousins. Bobby Don graduated from Brownsboro High School in 1958. He enlisted in the U.S. Army shortly after graduation and served from 1958-1961. He spent time in France and Germany. He told his family many stories about his time in the military and the friendships he made. While in the Army he met Jack Quincey of Chiefland Florida who became a lifelong friend, with whom he stayed in contact with throughout his life. Bobby Don had many occupations during his life which included working for General Electric, roughnecking in the oil fields, being a mechanic with Eaton Motor Company, a paint contractor with his father, and later with friend Joe Don Shelton. He then went to work for the Texas Department of Criminal Justice as a corrections officer. He retired from TDCJ in 2004, to begin another chapter in his life as a grandfather, farmer, and to spend time with the love of his life Mamie Joyce, vacationing in the Texas Hill Country. Bobby Don was a true farmer with the gift of a green thumb. He loved working with his hands. He loved to fish and loved his animals. He was an extraordinary storyteller who made up his own stories to tell his children as they grew up and later brought the characters back to life for his grandchildren. He was a talented artist who could draw anything he looked at and loved to write poetry. Bobby Don was a member of Leagueville Baptist Church for most of his life. He loved the Lord and treasured his relationship with Jesus, which only grew stronger as he fought battles with numerous health issues. Despite constant physical pain he was always there for his family and would witness for the Lord to any who would listen. In lieu of flowers, the family ask for donations to be made in Bobby Don’s name to Hospice of East Texas. The family would like to invite you to a visitation on Monday evening, April, 15, 2019 from 6:00-8:00 PM at Autry’s Carroll-Lehr Funeral Home. Funeral services will be held at Leagueville Baptist Church at 2:00 PM on Tuesday, April 16, 2019. Burial to follow at Leagueville Cemetery. "Email Address" would like to share the life celebration of Bobby Don Parker. Click on the "link" to go to share a favorite memory or leave a condolence message for the family.